After a major storm, you might notice some of your shingles or tiles have been damaged by the weather, or have even flown away entirely. In times like these, it's important to know the cost to replace roof shingles. Unfortunately, it's difficult to even estimate prices for tile roof replacement, so the best thing to do is gather quotes on the cost to replace roof shingles from roofing experts in your area. That said, it helps to know what to expect before you start looking for a new roof, so check out our tips below. There are many physical factors that affect the cost to replace roof shingles and roof replacement. Different shingle styles will require different installation methods, for instance, while larger, steeper structures naturally cost more to replace than smaller ones. Likewise, significant structural problems will obviously cost more than minor leaks or imperfections. For the roofer, many factors affect the cost to replace roof shingles. In addition to the cost to purchase materials and actually complete repairs, contractors often include an initial assessment, disposing of materials, and any guarantees or warrantees in their charges. Additionally, especially skilled contractors usually charge steeper prices to account for their high quality of work. Note that these prices are subject to change, depending on where you live, current market trends, and the quality of the materials used. The cheapest quote may not be the best choice, since the cost to replace roof shingles is about results, not time. Your contractor should be able to provide recommendations from previous replacement jobs, and it's perfectly fine to request a price-breakdown on your quote to better understand what you're paying. Don't forget to discuss who will be completing the project, and their qualifications. And remember: the foreman should inspect the new roof, no matter how small. Can I Save on the Cost To Replace Roof Shingles? Pinching pennies when it comes to your roof is not a good idea. It's important to look after the long-term integrity of the tiles over your head, since they're your home's main source of protection from the elements. Overall, it's important to balance the cost to replace roof shingles with quality work. There's no point in paying less for a shoddy job. The best way to save is to plan ahead. 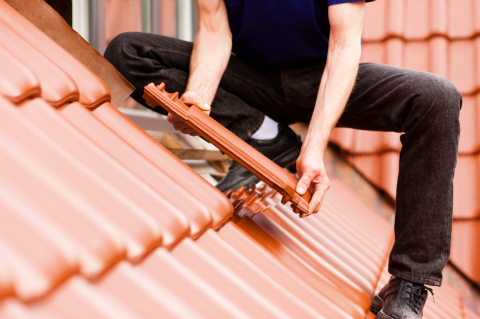 Inspect your tiles or shingles regularly, and purchase extra materials during installation. Be aware, however, that these may degrade over time. Never complete roofing repairs yourself, even if they look like a simple patch job. It takes lots of ingenuity and skill to diagnose leaks and repair them properly. All in all, improperly repaired shingles will ultimately cost more money in the long run, so check out our contractor database to get a quality new roof for the most competitive price.